Inspiring others to make positive change is one of our main motivations at Vevolution. We cannot describe the amazing feeling we get when someone tells us that they learned a lot from our events, or felt inspired by the talks or the atmosphere. We also feel so grateful that we are able to document talks and panels from our events and share them with those that aren’t able to make it. With just over three weeks until Topics: Environment, we have searched for a few of our favourite and most empowering talks on sustainability, low impact living and climate change to inspire you to take action! Immy Lucas is known on social media as Sustainably Vegan, and she is also the founder of the Low Impact Movement. Low Impact Movement is a community that strives for low environmental impact through a high social impact. In this talk, she shares her journey and ideas for low impact living. Immy stresses the importance of consuming less, shopping locally and raising your voice. Paul Brown is the founder of BOL, and in 2018 he took the plunge and made all BOL products completely plant-based. “It is definitely not mother nature’s problem, not providing us with the amount of resources that we require. It is just we are not using them very wisely.” In this talk, Paul talks a bit about the why and the how he made BOL plant-based. He also shares some very inspiring words on climate change, and the current state of our planet. Laura Boyes is the founder of zero-waste store Hetu. In this talk, Laura explores how one comes to live a zero-waste life, what it takes to turn your passion into a successful business and ways that we can all live a more conscious existence. Max La Manna, also known as Eating With Max, is a zero-waste vegan chef, as well as a sustainability advocate and environmentalist. In this talk, he discusses his upbringing in a foodie household, the issue with food waste, how to live low impact, and he also shares lots of facts and statistics on the plastic epidemic. Jack Harries is a filmmaker and environmentalist who is also part of activist group, Extinction Rebellion. In this talk, he shares his experiences of travelling to some of the most remote parts of the world to document the effects of our rapidly changing environment. This talk is super eye-opening, and makes you realise that the individuals who are causing the least damage to the Earth, are the ones that are suffering the most. Dr Lucy Gilliam is the co-founder of Exxpedition, an all women voyage to ‘make the unseen seen, from the toxics in our bodies to the plastics in our seas’! In this talk, you can get an insight into this pioneering climate activists extraordinary career and ideas. 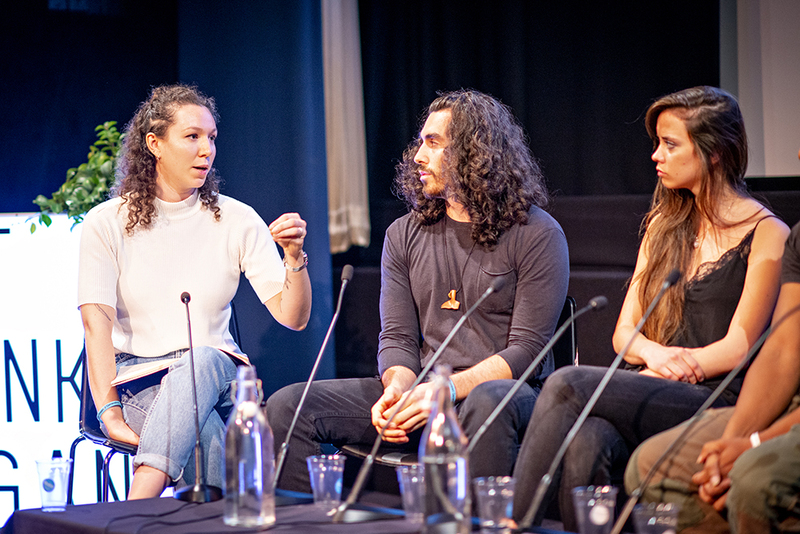 Join us on the 28th of April at Camden Town’s iconic Roundhouse for some inspiring talks on Environment, and lunch catered by The Fields Beneath.